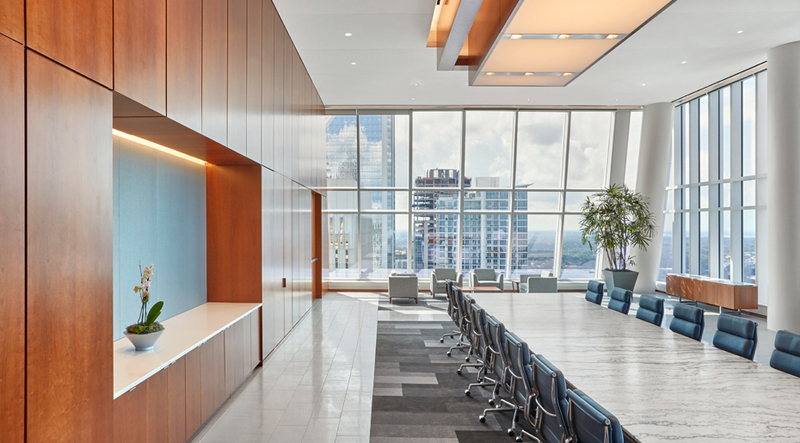 The expansive world headquarters of investment management firm Barings spans 205,000 square feet and seven floors in downtown Charlotte, NC. 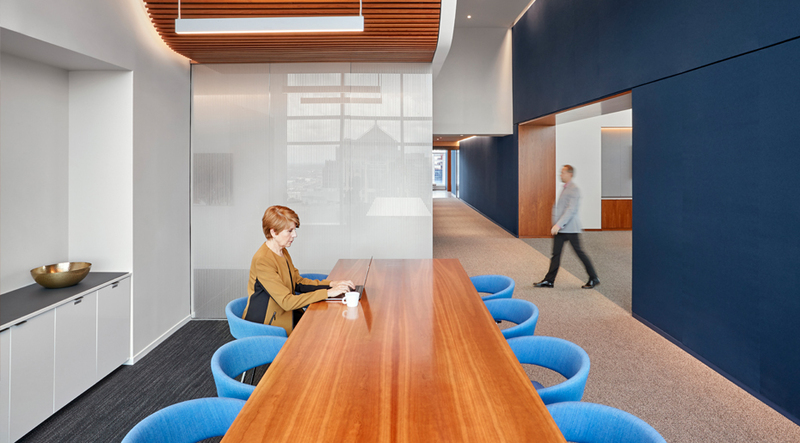 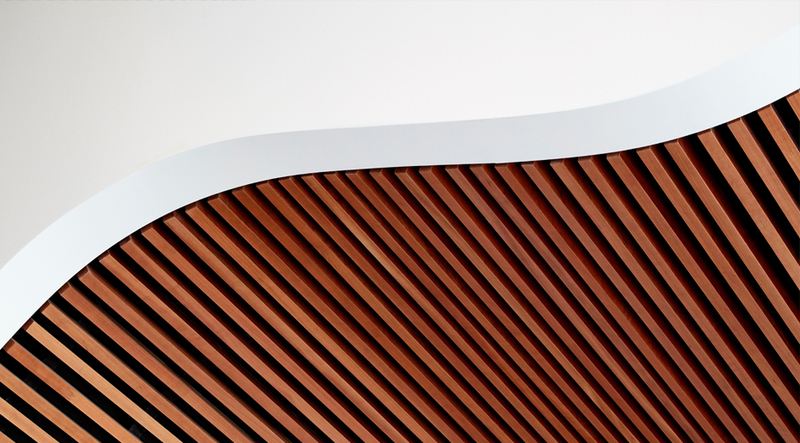 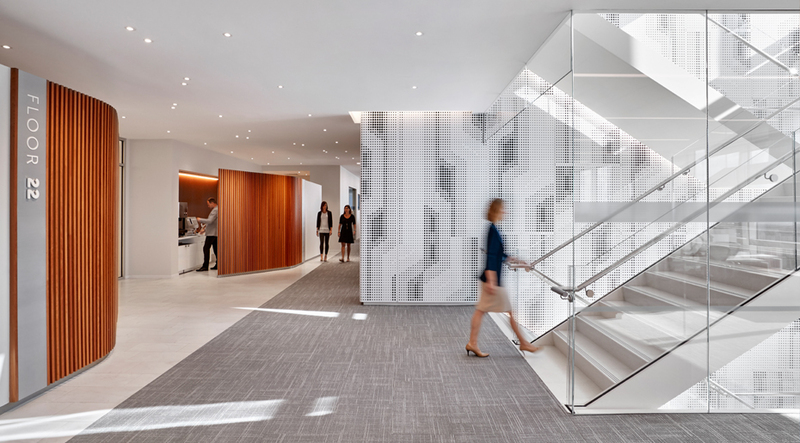 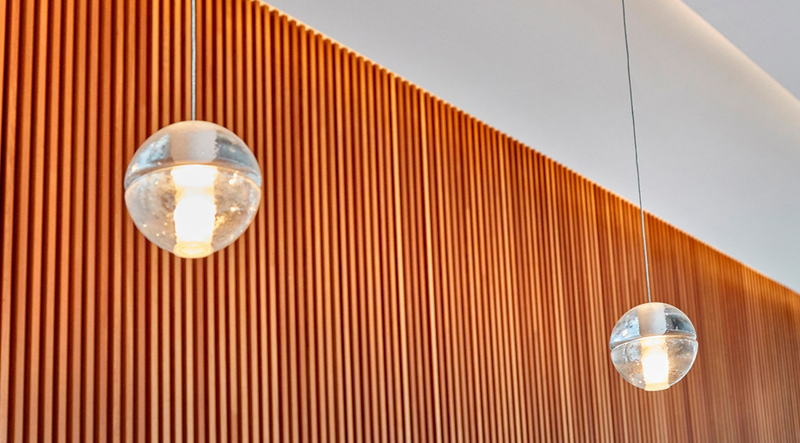 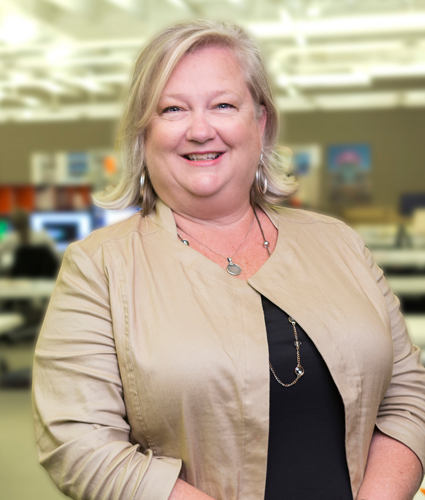 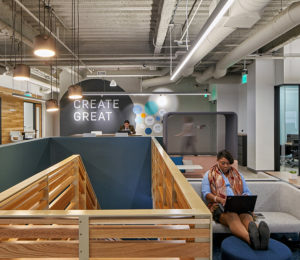 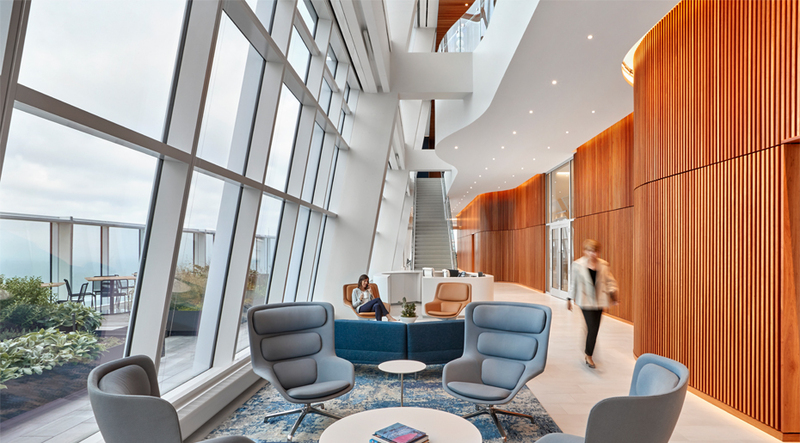 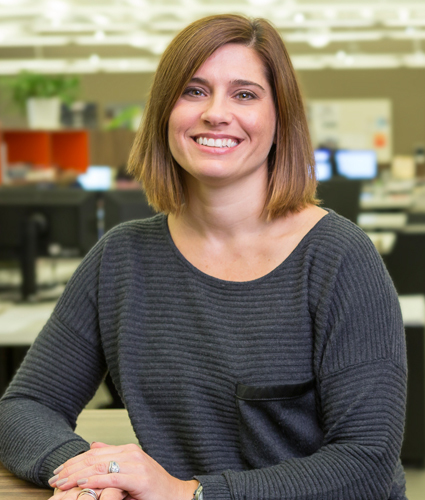 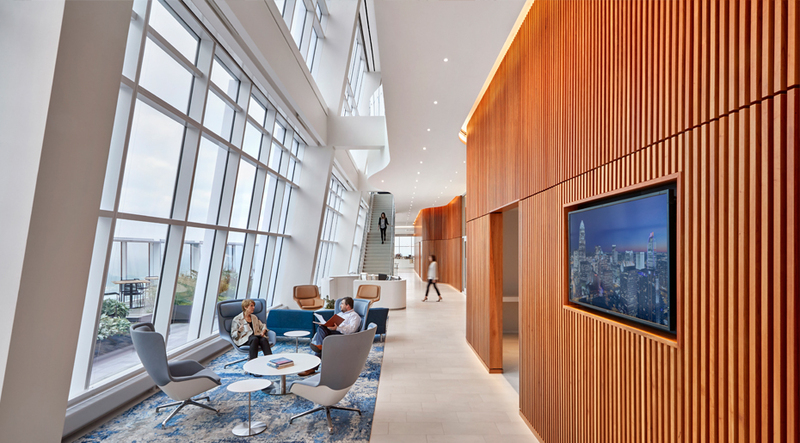 Designed to inspire employees, foster collaboration, provide flexibility, and connect the organization between the various floors, the office is serving as the standard for all future Barings office locations. 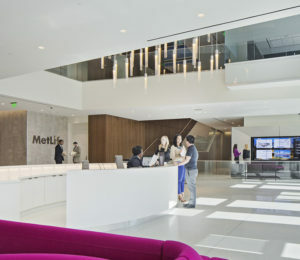 In fact, with the help of the Progressive AE design team, these standards are being rolled out to offices in London, New York, Chicago, Boston and Beijing. 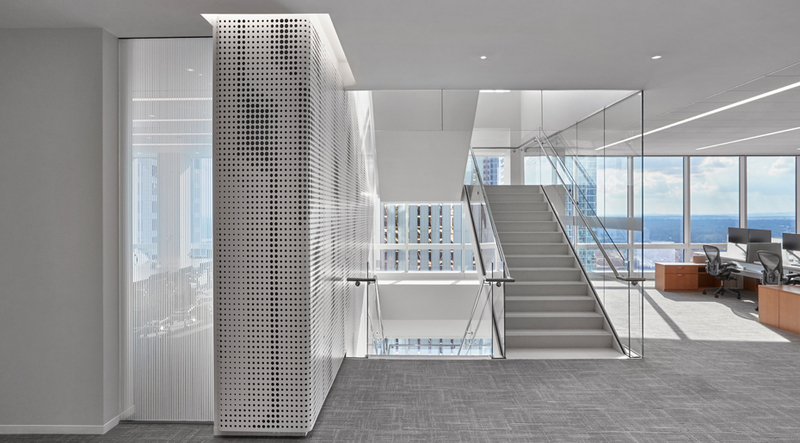 The seven floors are separated by function and designed to meet specific goals. 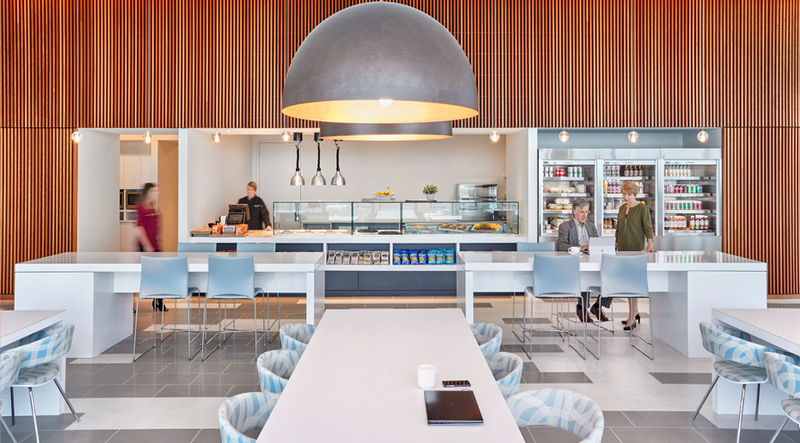 Floors 20-24 serve the everyday needs of staff with open and private office space, conference and huddle areas, and soft seating lounges. 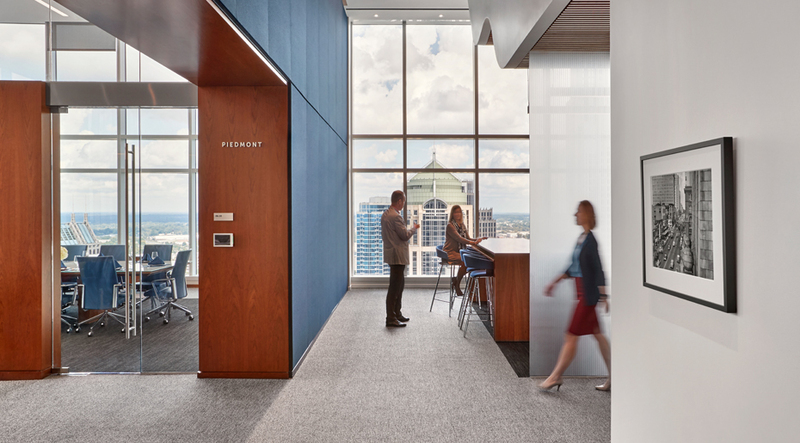 Floor 25 is the heart of the entire office. 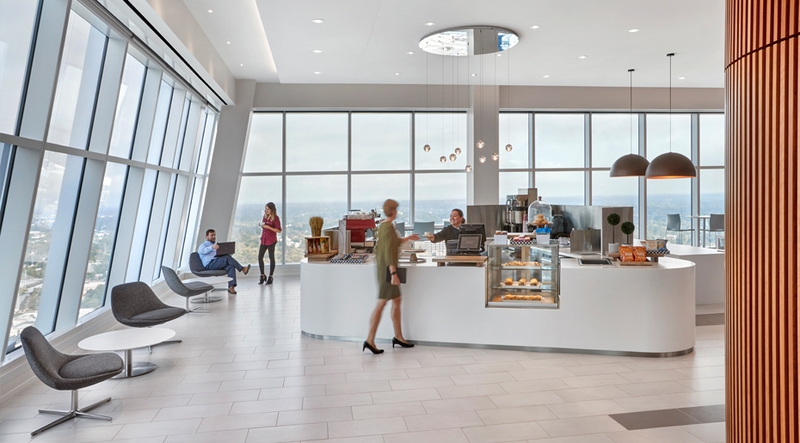 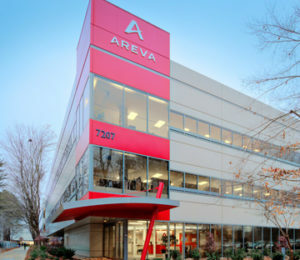 Reception is located on this level along with a full-service café, meditation rooms, outdoor patio, conference and huddle rooms, and executive office space. 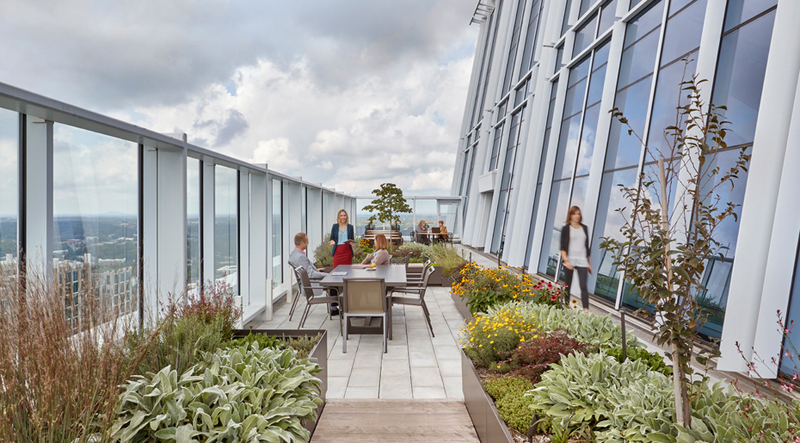 If floor 25 is dedicated to the day-to-day, then floor 26 is all about the future and big thinking. 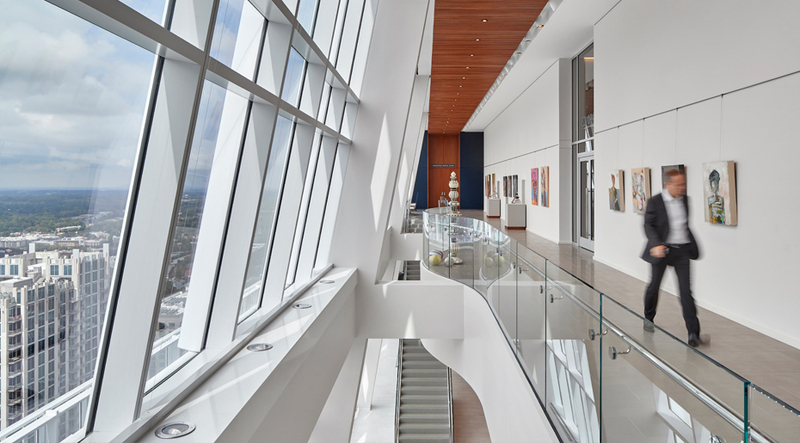 Highlights of this floor include a rotating art gallery display, custom executive boardroom with full-service catering kitchen and prep spaces. 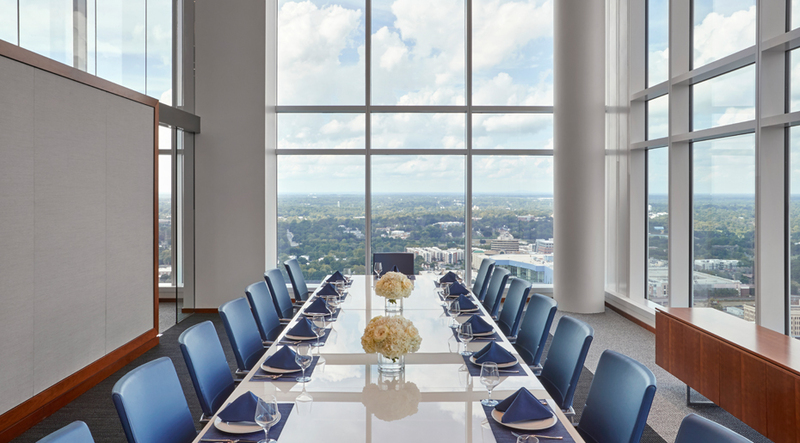 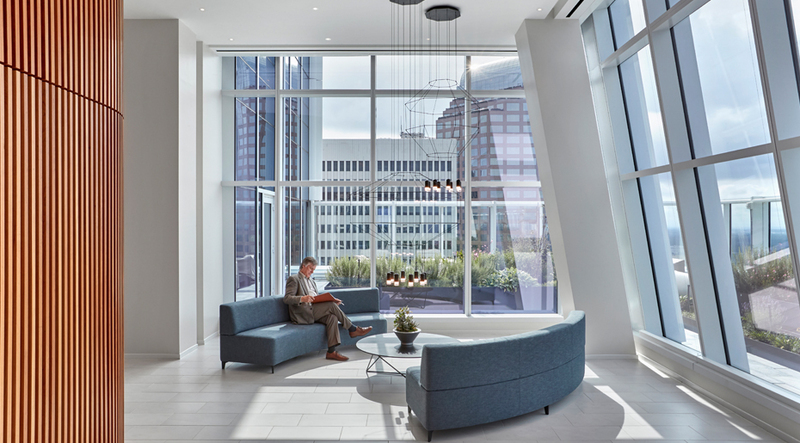 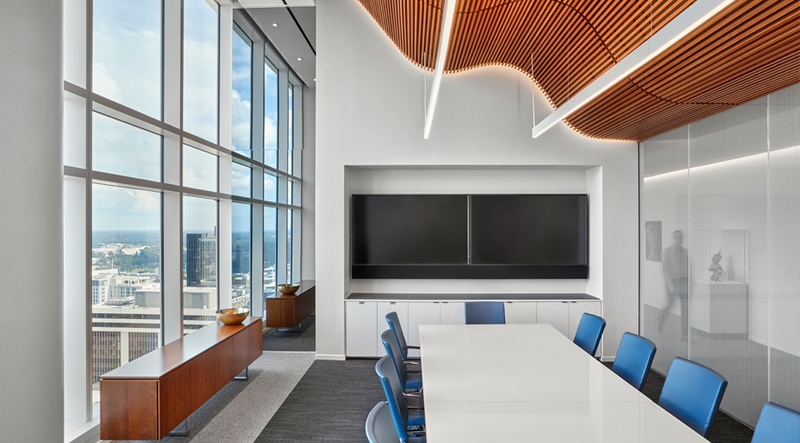 Floor 26 also features the large “Sky Room” — an auditorium style space with state-of-the-art technology and expansive views of uptown Charlotte. 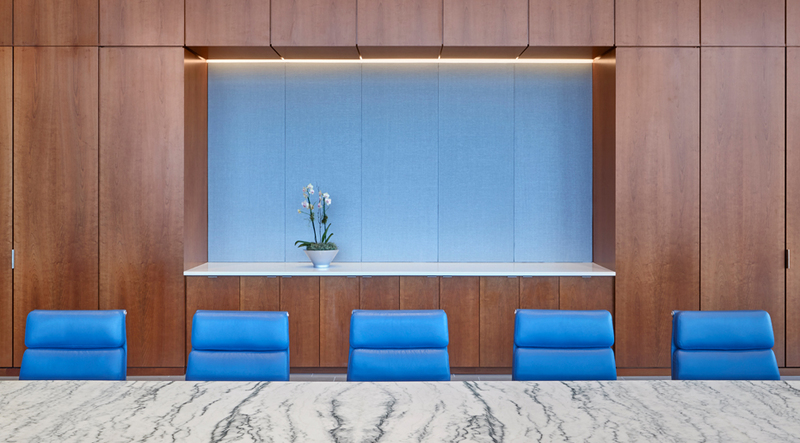 Marked by white surfaces, glass paneling, wood features and pops of blue, the Barings’ world headquarters is sophisticated and timeless from top to bottom.